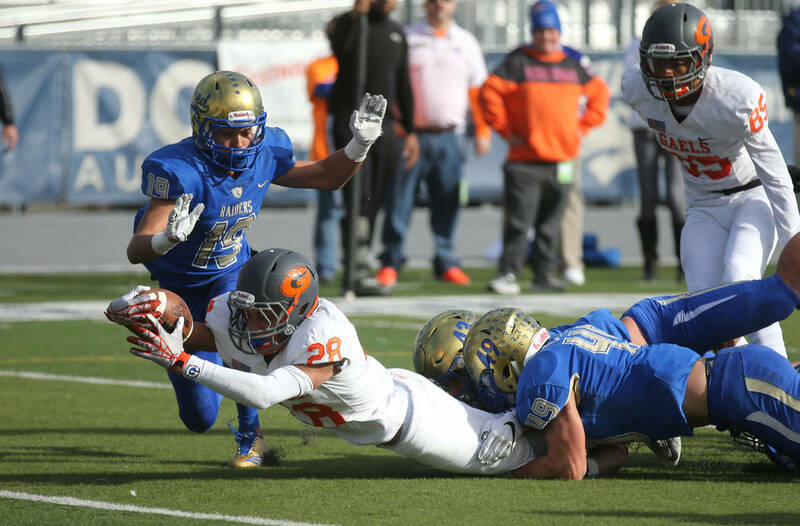 Gorman entered Saturday’s title game outscoring in-state opponents 526-26 and just kept rolling. 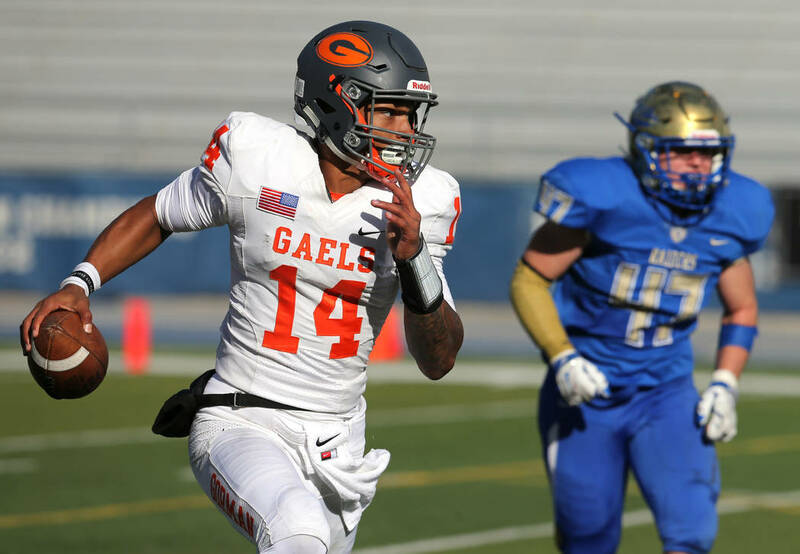 Quarterback Dorian Thompson-Robinson caught a touchdown, ran for one and threw for two as the Gaels dismantled Reed 48-7. 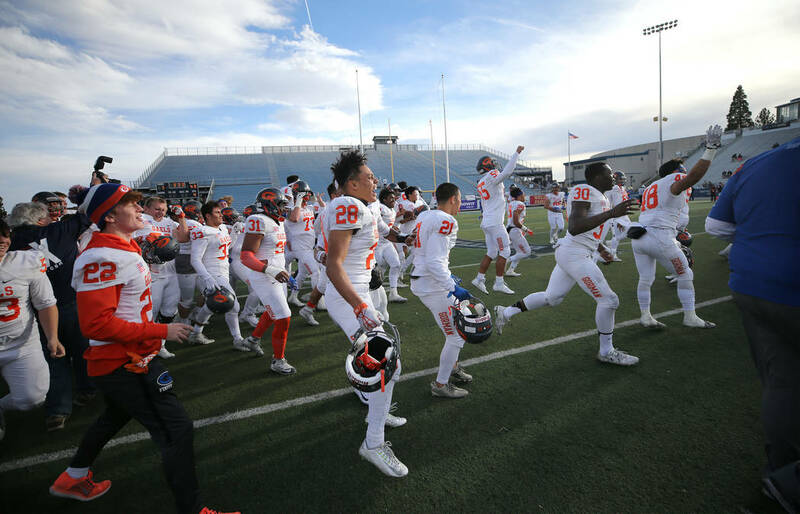 RENO — At the beginning of the season, a casual fan of Nevada football could have predicted Bishop Gorman to win the state championship. 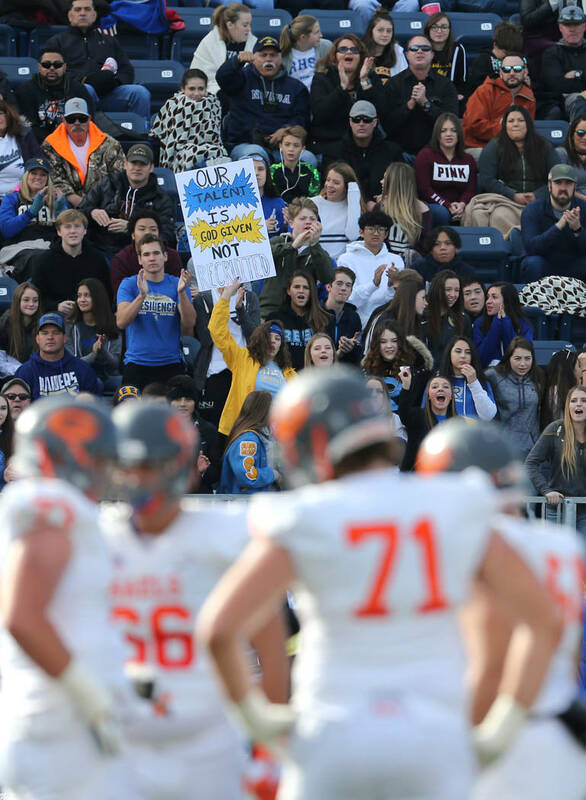 How the Gaels did it was nonetheless impressive. 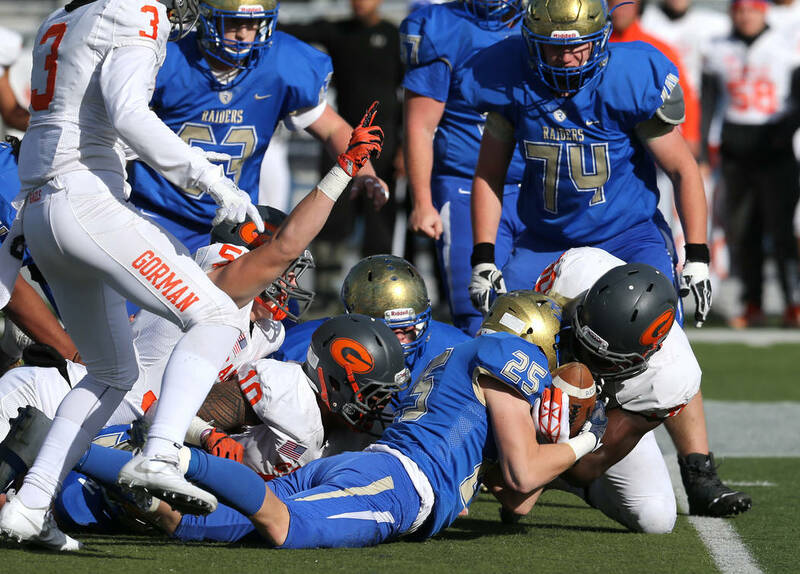 Gorman entered Saturday’s title game at Mackay Stadium outscoring in-state opponents 526-26 in 10 games, and just kept rolling. 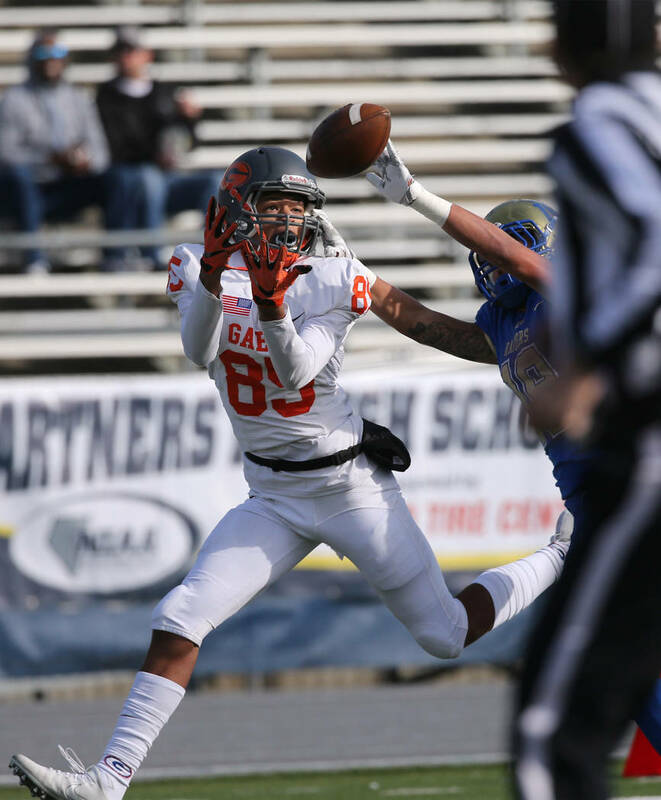 Quarterback Dorian Thompson-Robinson caught a touchdown, ran for one and threw for two, and the defense had seven sacks as the Gaels dismantled Reed 48-7 to win their ninth consecutive crown. 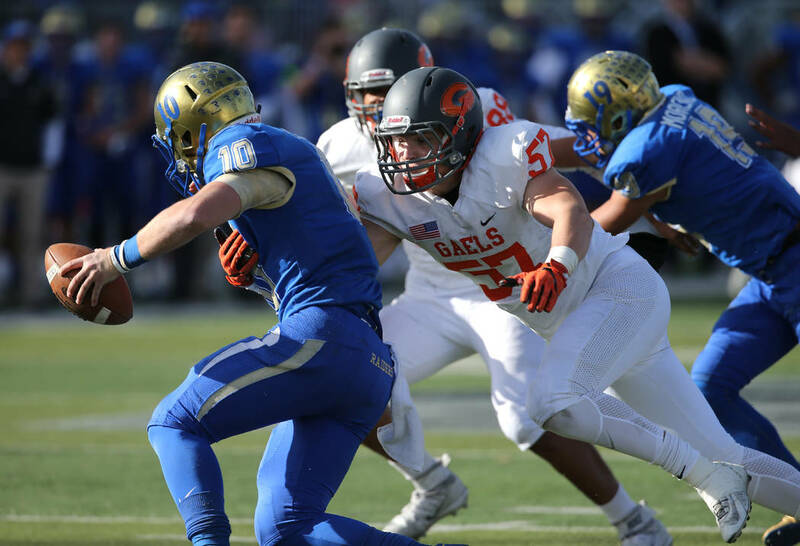 Three games into this season, the Gaels (13-2) looked vulnerable. 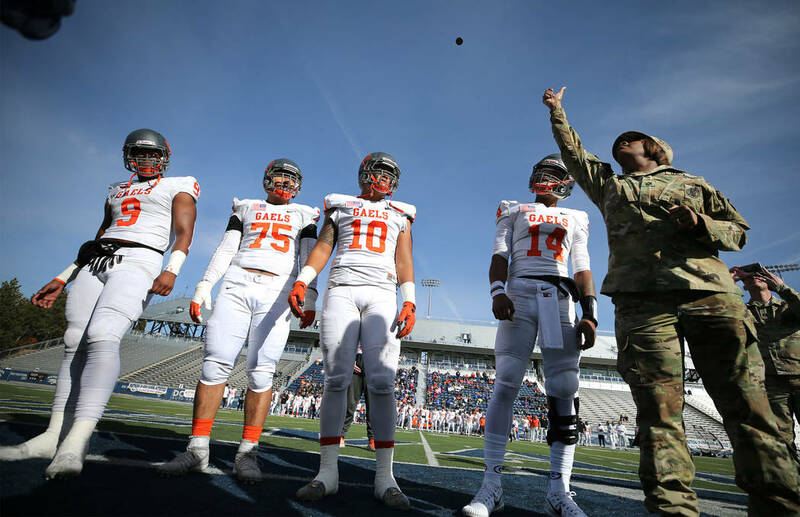 They were 1-2 after gut-punching losses to Mater Dei (California) and Miami Central (Florida) and going up against nationally ranked De La Salle (California). 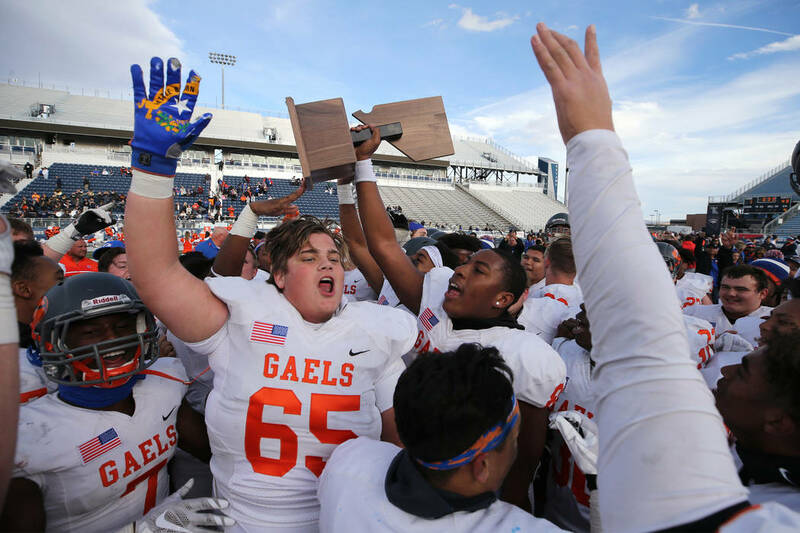 The Gaels watched film of the De La Salle win Friday night, a game they won 34-7, and called it the turning point of the season. 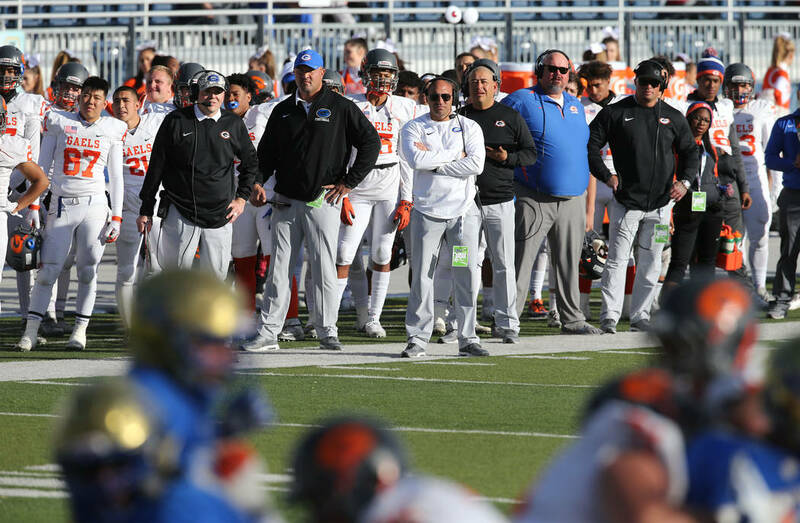 Whatever vulnerabilities clearly didn’t exist in Nevada. 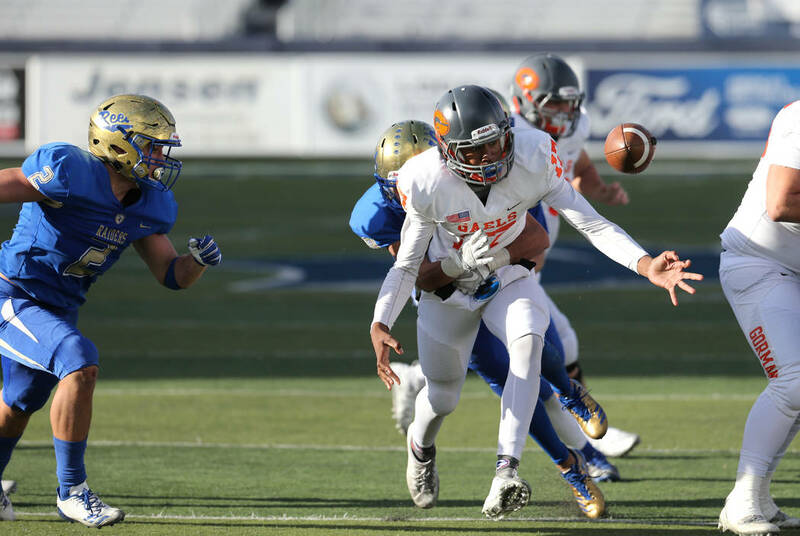 Gorman didn’t allow a point to a local team until the Sunset Region semifinals and finished with a plus-541 point differential in 11 games. 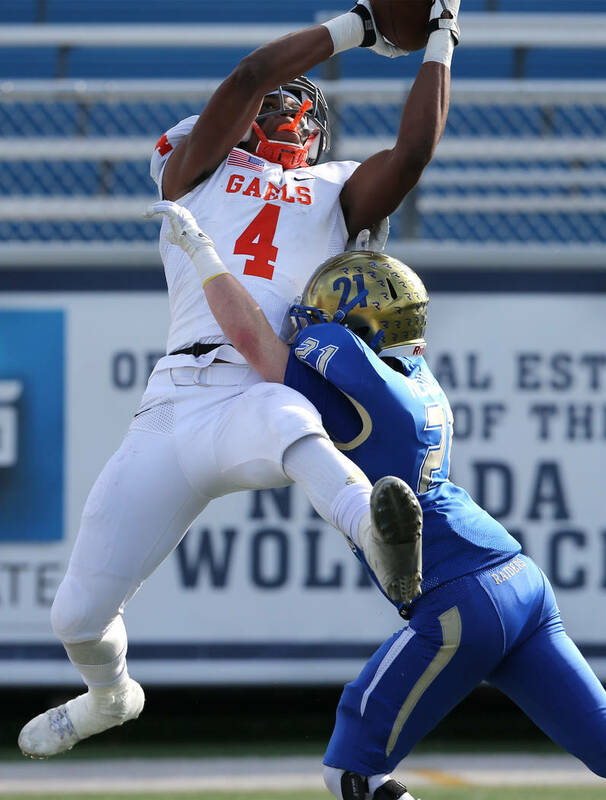 Thompson-Robinson typically connects with wide receiver Jalen Nailor for touchdowns like they did 11 times this season, but they flipped the script for the first touchdown Saturday. 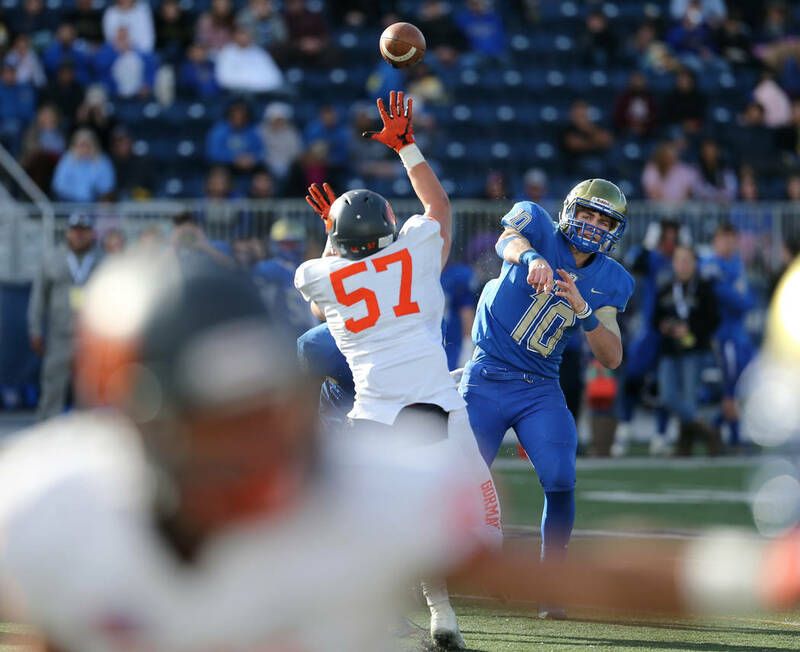 Nailor took a reverse handoff, then dumped it off to his quarterback for a 10-yard score less than five minutes into the game. 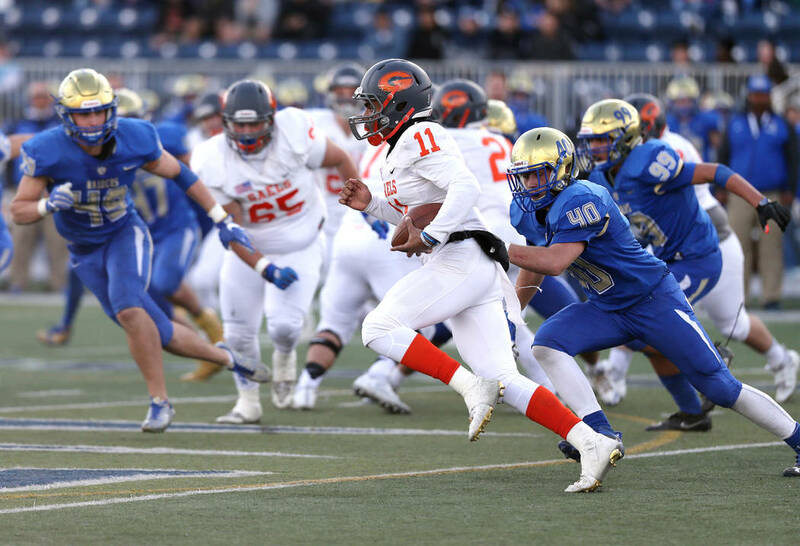 At the end of the first quarter, Amod Cianelli scored on a 1-yard rush, then Thompson-Robinson hit him on a screen pass that went for a 32-yard score. 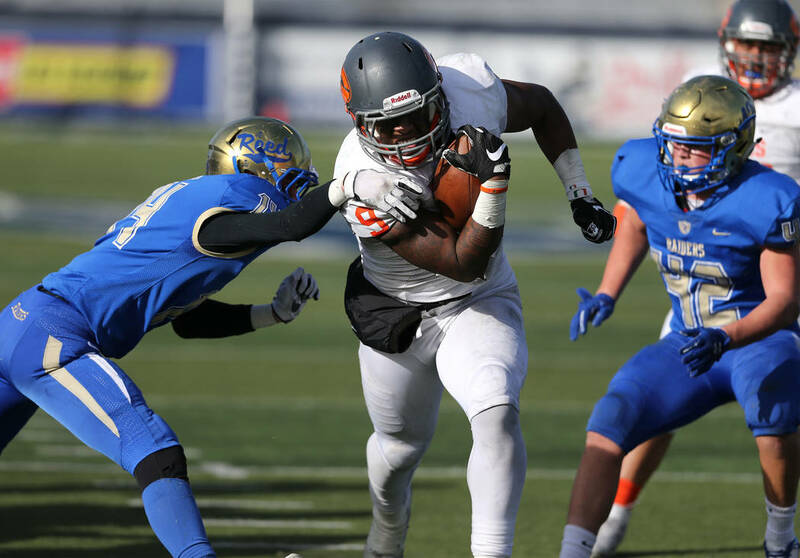 Thompson-Robinson then completed his trifecta of touchdowns when he ran for paydirt on a 2-yard keeper. 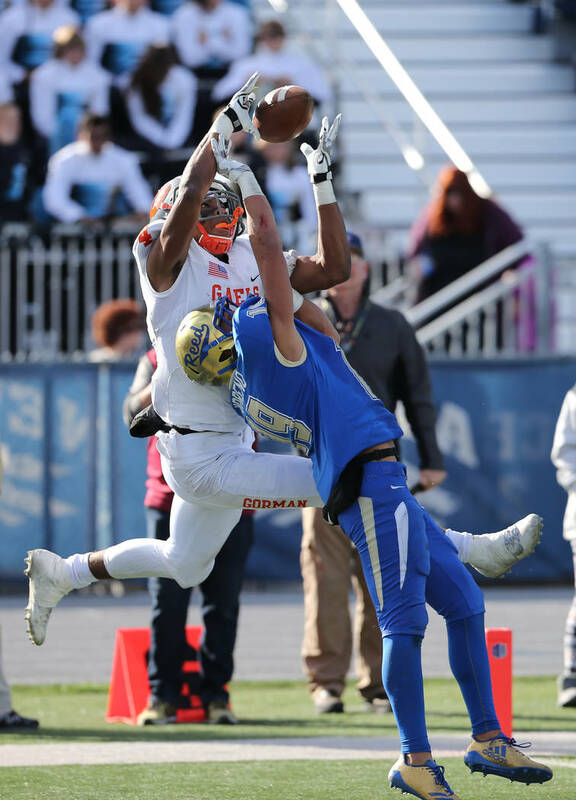 On defense, Gorman was equally dominant. 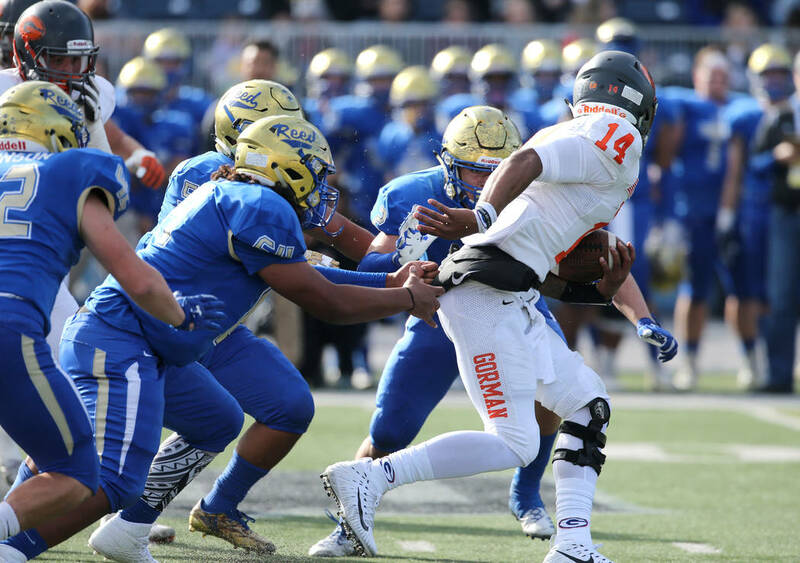 Along with the seven sacks, Gorman never allowed Reed (12-3) to develop any sort of run game. 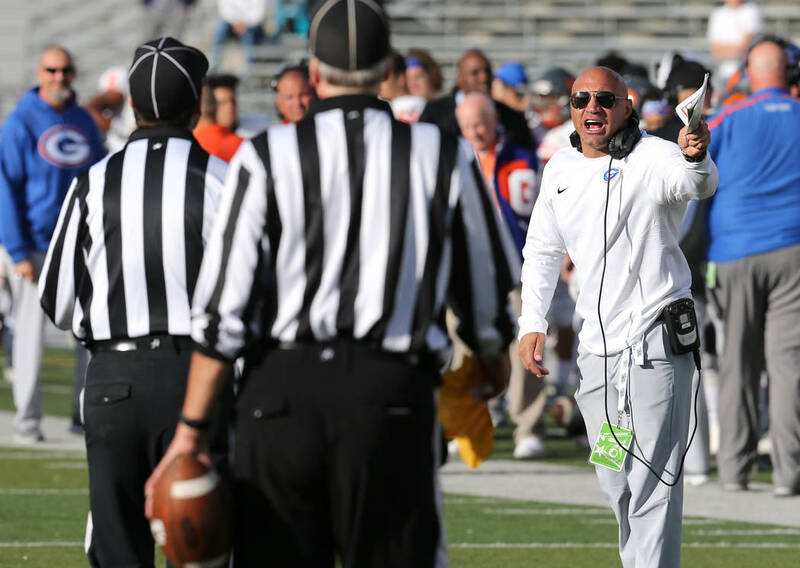 The Raiders ran for minus-11 yards on 24 rushes, which included minus-27 yards in the first half. 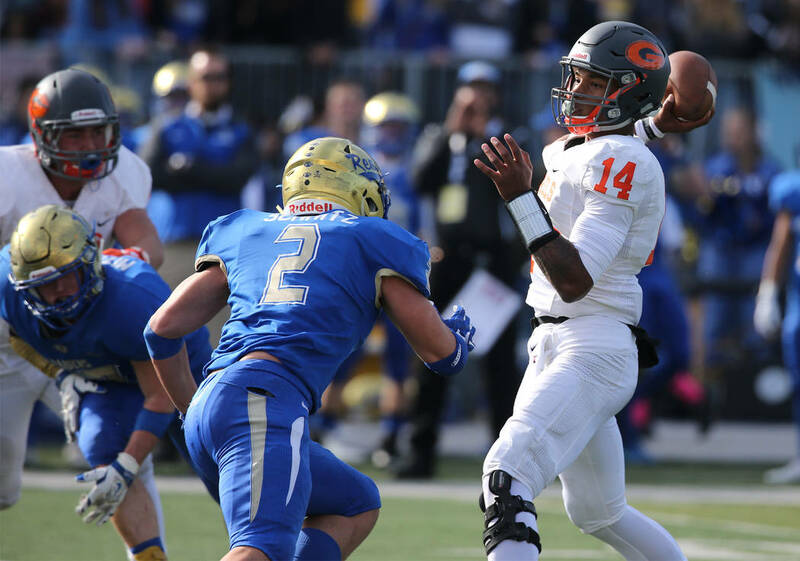 Gorman held Reed quarterback Cameron Emerson to 113 yards on 10-of-25 passing, and Jeffrey Ulofishio and Andrew Ruelas each had an interception. 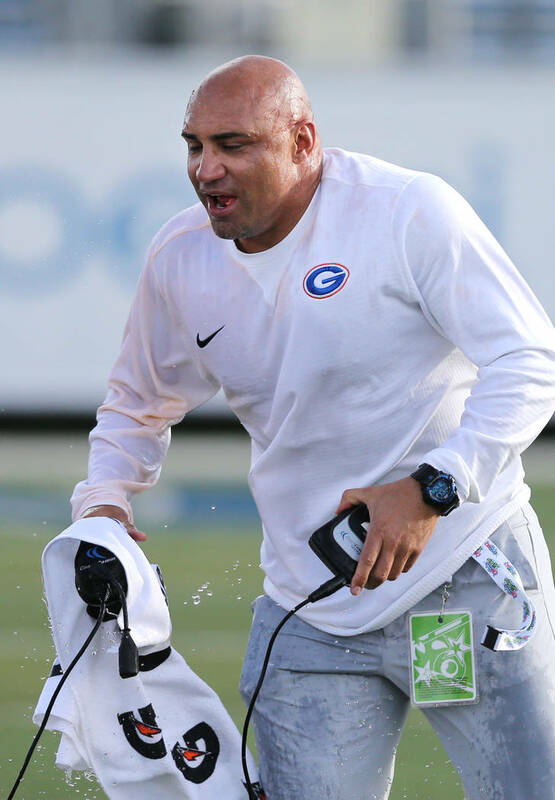 Adam Plant had 1.5 sacks. 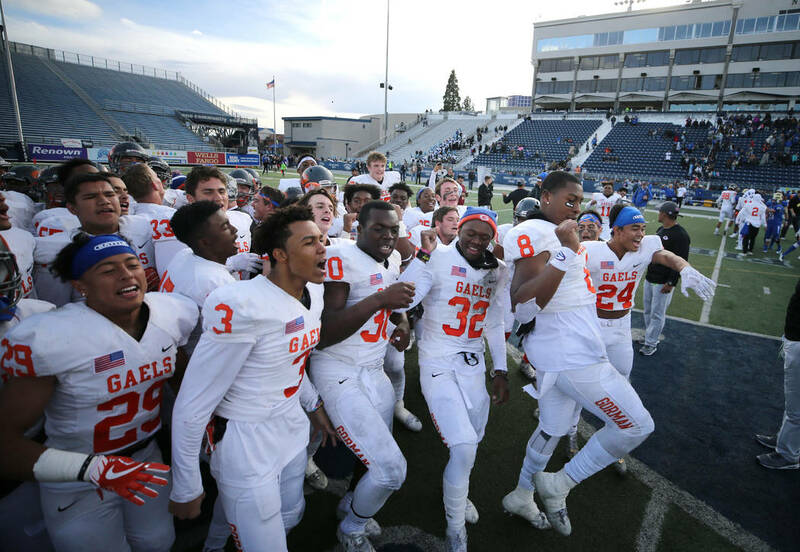 The Gaels seemed poised for the first shutout in a Class 4A state title game since they did it against McQueen in 2010, but pulling the seniors to give them a send-off had its consequences. 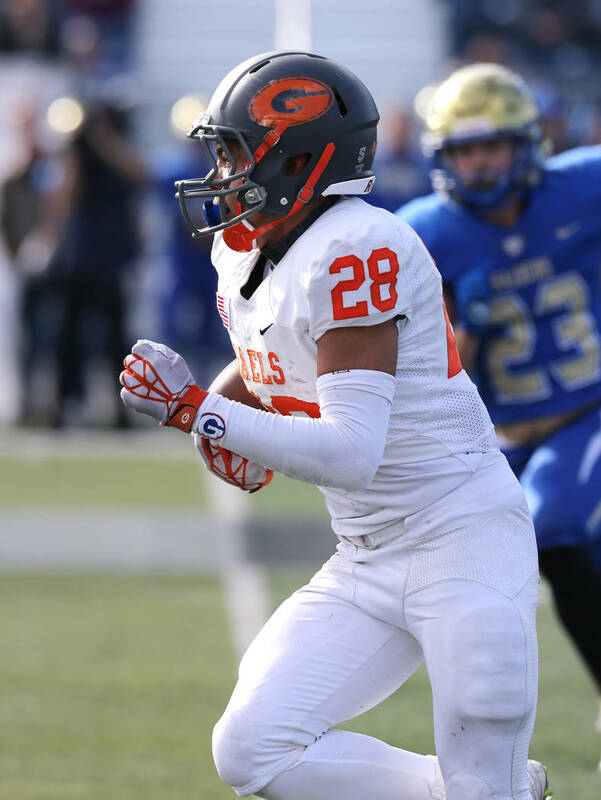 Reed scored with 3:58 remaining. 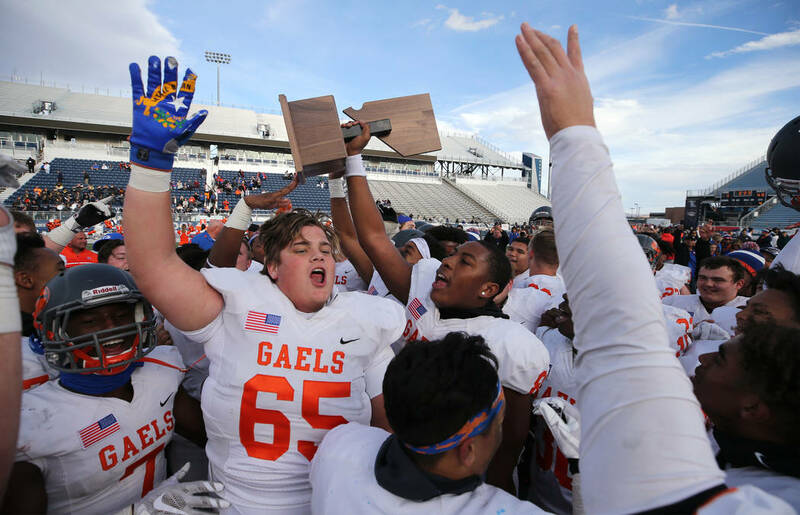 It was the first of the Gaels’ state championships since 2013 that did not have the possibility of a national championship at the end. 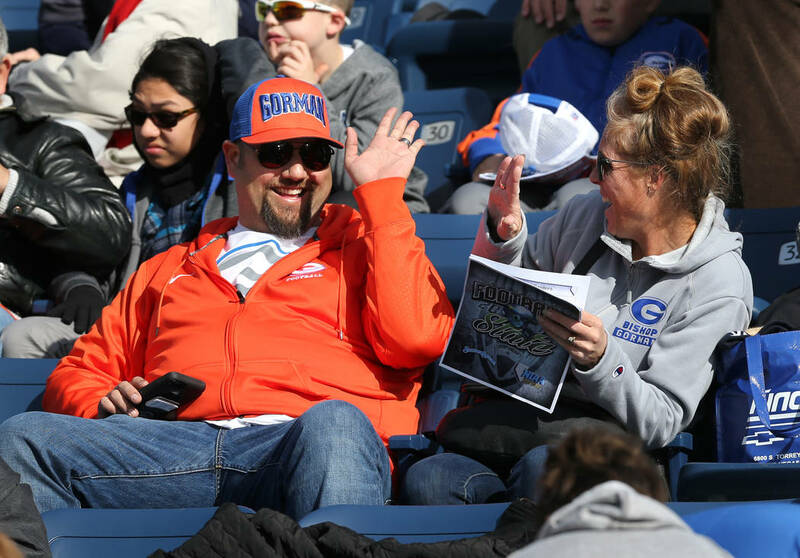 Gorman won the past three national titles after undefeated seasons, but no one on the field seemed to care Saturday.